The photo on the main page shows a stone age chopping tool on display in the British Museum that's the oldest known object made by man. Found near the Olduvai Gorge by Louis S.B. Leaky in the 1930's it is two million years old. In the BBC's ground breaking podcast, The History of the World in a Hundred Objects, Neil MacGregor notes that from this moment in our history, we can no longer survive without the things we make. But even more interesting, he suggests that the care with which this tool was crafted marks the beginning of a defining human trait - the obsession, not just to make things, but to make them better. In other words, design. 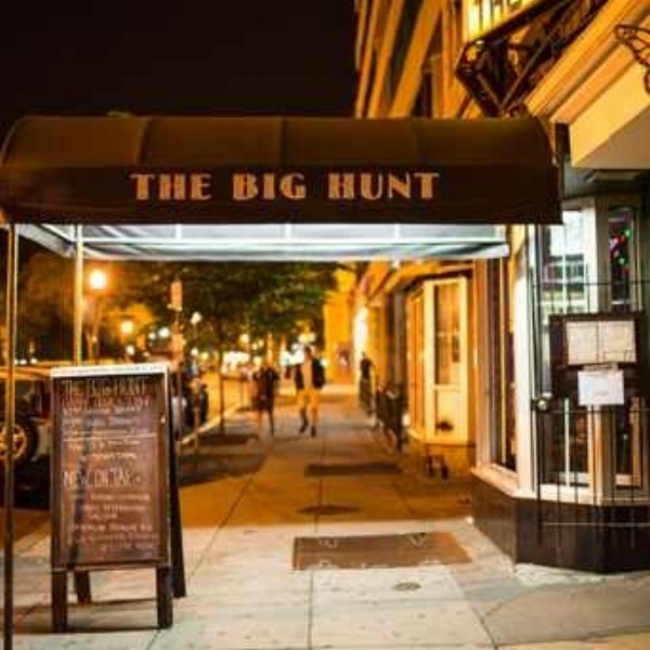 Fans of the Long Now brought long term thinking to The Big Hunt near DuPont Circle for the very first time... officially at least. This past Wednesday was the inaugural meeting of the D.C. Chapter of the Long Now Foundation, and the conversation was far reaching. I myself was accused of linear thinking, though I pled not guilty. Though the jury's still out on that count, we traded ideas from the sane to wildly crazy and even comical. It was extremely enjoyable to run through the intellectual calisthenics of taking something you know can't possibly happen in the next five years and think about how that same impossibility becomes inevitable over a long enough span of time. How long will it be before D.C. finally gets statehood? What's the future of automation and what does its increasing acceleration imply for human activity? What is the economic future of the planet? Will borders become obsolete? I have to admit that just thinking about this subject completely locked up my brain for a couple of months. That and the usual distractions that keep people from writing when they have a day job. But I digress. The approach I’m going to be forced to take on the subject of future economics will reflect the ambiguity and vacillations that I’ve had for months now. As bad as that seems, I don’t believe there are many professional economists that could adequately address this dilemma, so the only thing I can do is speculate and pose questions… so I’ll go with that. To begin, the one trend that makes answering this so difficult, is automation. The ever increasing ability of machines to do more and more that we as humans used to claim as our exclusive domain, continues without any end in sight. Although it stretches the mind to envision a point at which robots can do anything we can do physically, and computers can do anything we can mentally, we’ve been getting clues for a long, long time. From the legend of John Henry, who breathed his last with in his attempt to beat the steam drill in the heyday of railroad building, to Gary Kasparov battling away with Deep Blue for chess supremacy, machines and the sophisticated programs that control them have continued to advance relentlessly. I’ve seen robots play the trumpet and run up stairs. I’ve been humbled in games by AI, and been impressed at Siri’s prowess as a bonafide assistant. When a computer can drive better than I can, it’s time to concede. We aren’t unique in too many ways that aren’t already vanishing quickly. Almost forty years ago, Langdon Winner published his book, Autonomous Technology: Technics-Out-of-Control as a Theme in Political Thought. The observation that our ability to create new capabilities, before we had thought very much about how we might use them was one that unsurprisingly escaped the notice of most. Then as now, we create first and consider ramifications later. Things as simple as pocket sized lasers that interfere with safe piloting of aircraft or as sophisticated as drones that have become a ubiquitous nuisance are examples of technologies that had not been duly examined by the societies that produced them, bought them and then struggled to figure out how to tame them. With accelerating automation, the question we need to ask ourselves is not what’s possible; the question is what is it that we want from technology. This is the essence of designing the future: first looking broadly and ambitiously at the realm of the possible, and then, peeling away the parts that don’t genuinely advance our species. What do we want machines to do for us, and what do we need to do for ourselves and each other? My post on the iconic futurist Jacque Fresco mentioned one of his profound ideas of an economy without money. When I think about the far future, his idea seems to have some surprising merit. No matter your status in the present day, money dominates your life, in a mostly negative way. I just submitted my 2015 income tax return, and ironically the fun is just beginning. Having completed this excruciating exercise only means I can now finish cleaning up applications for college financial aid and filing financial disclosures for my employer. Yikes! Refinancing mortgages, providing elder care, planning our own estate and long term care. Our lives revolve around money, or so it seems. A friend once returned from a stay at a luxury Caribbean resort with a gift for us of a surplus bottle of Dom Perrignon. He was careful to correct his wife, “It was NOT FREE! It… was… IN-CLU-DED!” This is what I like to imagine life in the future will be, a cruise ship where everything is included. I don’t think Mr. Fresco has thought of it quite this way, but I think it’s equivalent. It’s the Cruise Ship Economy. Once you choose your plan, the rest of what you get is ‘included’. The idea that one could be relieved of the burden of having to manage finances has a lot of attraction. At the same time, giving up the sense of having contributed enough to earn what you take might seem hard for many of us to abandon. In a future world where technology is providing all our basic needs, what kinds of things are left that uniquely require humans to perform? In January 2011, at the start of the 111th Congress, it was decided the first order of business would be to read the United States Constitution. At least, that’s what the Congressional leadership claimed to be doing. In fact, what they actually read was a version of the Constitution they would rather have had. While I don’t want to make this post politically focused, in the spirit of this blog, I do want to suggest that looking far into the future, we should recognize that it will be rewritten eventually. And, once we look ahead, as is so often the case, we begin to see the present somewhat differently. With that as a preface, I can think of at least three factors that argue for making the change sooner rather than later. The original language of the Constitution reflects a long and embarrassing history of discrimination. Second, the language is often awkward in ways that obscure, rather than clarify, its intent. For example, whether you support gun ownership or not, the second amendment is a modern conundrum. In 1789, local militias were a necessary element of security - armed with muzzle-loading black powder muskets and pistols, with single shot cannon being the most advanced form of weaponry known. In the ensuing 227 years, the world has seen the development of military technology from machine guns to nuclear missiles, while the role of militias has been subsumed by the National Guard in all fifty states. So the stated purpose of the second amendment no longer applies. In modern times, judicial cases have contorted the meaning to protect individuals’ rights to own weaponry for self defense, though the level of capability is still open to debate - something more than a single shot handgun, but short of nuclear warheads. As a citizen in 2016, I don’t have the guaranteed right to own and operate an automobile, but I do have the right, one could argue, to own a main battle tank. Original meanings make no sense in modern times. Finally, the current dispute over filling the Supreme Court vacancy left by the passing of Justice Scalia highlights one of the major failings of the document - it’s lack of specificity. Ironically, the reason Senate Republicans can get away with refusing to consider the President’s nominee is that the language is too open to interpretation. Even the responsibility to consider and vote on a nominee is too vague to compel action by a recalcitrant faction. And the importance of the political ideology of the nominee is further evidence of the very same imprecision. Vague language leaves too much room for factional mischief. Thomas Jefferson offered the opinion that the Constitution ought to be rewritten every 19 years. Looking at things from that point of view, it seems quite reasonable. In fact, the constitution we’ve had for the last two centuries was itself, a do-over. The Articles of Confederation it replaced were a colossal failure that triggered a convention to come up with an alternative. In the spirit of design thinking, the Convention came up with a prototype, open to adaptation, based on learning what works and what doesn’t. But design thinkers are also ruthless about using prototypes to learn, then moving on. One might begin to think that our prototype has now served its purpose, and it’s now time to use what we’ve learned to create a better version. One of the most ambitious thinkers in the realm of envisioning the future has to be Jacque Fresco, the ancient futurist responsible for The Venus Project. Coming up on his 100th birthday on March 13th, Fresco has spent nearly a century thinking about the future. One of his key ideas, a resource based economy, has to do with the elimination of money as an economic factor. Although ridding the world of the love that is the root of all evil might seem like a very good thing, figuring out how to allocate resources without it is likewise very hard to grasp. But while the concept might seem far-fetched, two trends he's identified that seem to lead in that direction are undeniable: the increasing capabilities of machines and the sophistication of the software that controls them. Fresco envisions a world where technology has evolved to the point where it can supply our every need, independently of the need for human intervention. This concept was portrayed in the Pixar animated movie WALL-E, where people had become fat, sedentary and passive in allowing machines to provide. In his vision of the future, Fresco sees buildings that can construct themselves; he imagines software that can orchestrate sophisticated processes at superhuman precision. While the evolution of technology to this level stretch the imagination, the trends leading to such a state are undeniable. Like the proverbial frog in a pan of water, that doesn’t realize the heat’s been turned up, we’ve been heading down this path for longer than we know. So while we may prefer to dismiss the warning, we need to think seriously about how we fit in such a world. Fresco has. Even though I may not entirely agree that his vision of the future is our ultimate destiny, the ideas he’s explored are indeed profound and worthy of serious consideration. If his version isn’t to be, then what? Not long ago, I had the great opportunity to appear as a guest on Will Sherlin’s Innovation Engine Podcast, and even though I thought we had a great conversation, there were a lot of things we just didn’t have the time to explore. One idea I didn’t fully address was the connection between design thinking and the far future. It’s not an easy connection to make, because to design anything requires making it real in the present. To attempt to design a far future would have to be oriented to things we imagine we might want the future to be, but constrained by what we can envision based on life in the present. In that sense, it’s a bit of a paradox. But even though the mismatch exists, it doesn’t necessarily mean that the exercise wouldn’t be worth the effort. My expectation is that by going through the process, we would learn a great deal that’s worthwhile both in shaping a future world, as well as guiding us toward truly important changes in the present. Langdon Winner, an author and professor of political science at Rensselaer Polytechnic Institute, observed that our modern societies have been shaped by technologies that typically outpaced our foresight in putting them to the best uses. A classic example is the complication created by the increasing use of drones and their potential to interfere with commercial aircraft. In fact the increasing interference with commercial aircraft by simple handheld lasers is another. And the proliferation of video cameras and the ease of capturing and sharing their content instantly and globally has exceeded our ability to control any of it for good and ill. The internet itself created an environment well outside the ability of any nation to police it. Already several decades ago, Winner identified the phenomenon in his book, Autonomous Technology: Technics-Out-Of-Control as a Theme in Political Thought, and we as a society have failed to address. Among the first inklings of actually taking control of our future was Walt Disney’s initial concept for EPCOT, a bold idea to create a piece of the future and bring it to the present - an Experimental Prototype Community Of Tomorrow. Alas, the audacious notion of creating a living breathing city as an experimental prototype was not to become a reality. Soon after proposing the idea, Walt passed away, with his heirs lacking the vision and ambition to pursue his concept in full. A safer concept - a permanent world exhibition and technology showcase - was what replaced it. But Walt’s original version showed a remarkable departure from the type of random evolution that marks most of our history. But as ambitious as Disney’s vision was in it’s time - already 50 years ago now - it didn’t really attempt to look very far into the future. Apparently inspired by his company’s wildly successful exhibitions at the 1964 World’s Fair in New York City, much of the proposed city was comprised of clever combinations of technologies he’d already prototyped. But the idea of creating a grand experiment has a huge potential beyond the use of technology; it offers the chance to explore ways people can live together more harmoniously. I mentioned in my chat with Will that the rock stars of future visions tend to be technology and architecture. But as fascinating as these are, I also wonder what the future will hold for other components of the societies our descendants will inhabit. How will our governments change? In fact, how will our nations be transformed, reshaped, split apart and re-absorbed? One of the most fascinating issues to ponder is: with ever increasing automation and evolving intelligence of software, what does the future hold for human activity and in what economic context? Finally, how will humanity’s distant future allow its inhabitants to thrive in ways that our current world doesn’t allow? Interesting questions that although they can’t be answered fully by us, seem still to be worthy of our exploration. One of the fascinating ideas of long term thinking is that just when you think something can't happen, wait... time has a way of overcoming long odds. Speaking of which, check out www.longnow.org of the Long Now Foundation, a nonprofit organization dedicated to fostering longer term thinking. Established in 1996 [or, as they like to say, 01996, an homage to the Y2K crisis that exposed our short-sightedness] the foundation sponsors a number of inspiring activities, including the Rosetta Project, to create a digital reference library of the world's languages, and the Clock Project, designing and building a mechanical clock to tick off the centuries until the next Millennium. But in the category of just-plain-cool, the website for placing long term bets is worth a look to stretch your thinking. How long will it be before we mount a serious manned mission to Mars? How long before we discover extraterrestrial intelligence? Will the U.S. Mens Soccer Team win the World Cup before the Red Sox win the World Series? Well, that last had already been decided back in 2004, after the team's ended its 86 year drought to break The Curse of the Bambino. Long term, long odds. Earlier, I wrote about the Berlin Wall, and my own inability to imagine its ultimate demise. Change is inevitable, even if it's slow. What other things exist today that you believe to be permanent? And once you admit the possibility of change, how long do you think it'll be before they will have to change? Ten years? Twenty? A Hundred? The challenge for design is to influence the changes that matter when the opportunities arise, and to create opportunities according to the need. Few of the millions who visit Walt Disney's EPCOT every year know how little today's park has in common with Disney's original concept. While the pavilions from around the world are captivating, and the exhibits featuring technology and ecology inspire and fascinate, these are still a far cry from what Disney himself had in mind. No, the original concept was sheer genius - an experimental city - where concepts for the future could be prototyped in the setting of a living, breathing, working city. You can watch Walt himself give his pitch, way back in 1966 in this video. The Berlin Wall was erected in 1961 to stem the exodus of talented people leaving the Communist Bloc for the West. In the first days, the wall was almost virtual - no more than barbed wire hastily stretched as a line in the sand across which no one henceforth could dare to exit without risking a bullet in the back. The iconic moment of a desperate flight to freedom ...at the last possible moment. If you grew up with the Cold War as I did, you came to accept the Wall's symbolism, its inevitability. By 1963, when JFK gave his famous "Ich bin ein Berliner" speech, it had already become a fixture, and by 1987 when Ronald Reagan implored Mikhail Gorbachev to tear it down, the rhetoric rang shallow. The ionic moment of a desperate fight to freedom ...at the first possible moment. In a rare coincidence, my wife and I were in Berlin in 1989 just as the Wall was beginning to be dismantled. It might have been the one thing I had been absolutely sure could never happen. Where the Berlin Wall used to be ...but only if you know where to look. In the space of thirty years, something that seemed impossible became inevitable and then erased without a trace. That's part of the magic of long-term thinking. What other things that we now believe are set in concrete, will vanish tomorrow without a trace? You might have shrugged. Maybe you yawned. But when Asteroid 2015 TB 145 screamed by at 20 miles a second it certainly didn’t raise too many eyebrows… except to note that its appearance on Halloween night seemed like an invitation for an obligatory Holiday reference. The Great Pumpkin Asteroid? At nearly half a mile wide and as close as our Moon, it could’ve been the ultimate in Tricks or Treats. Every so often, we’ll be alerted to a similar encounter, but we don’t tend to give much notice. We’ve been paying at least passing attention to the objects flying around our sky for around four hundred years or so, but so far none that are big enough have come close enough to worry about. You’d be tempted to believe that none ever will. Discounting the fact that I'm a worrier, here are two other reasons I stop and think about it. First, there’s Murphy’s law, a popular variation of which is “Whatever can go wrong, will go wrong.” - given enough time, at least. Every now and then, I’ll break down and play the lottery. My intelligent friends mock my occasional hopeless bet… While I know they’re right in a way, I also know that eventually, someone wins. See, I’ve always been fascinated with the idea that any phenomenon that has a small, but finite probability, is guaranteed to happen if you take enough chances (i.e., wait long enough). If you're skeptical, just take a look at the lunar surface to see how many times it’s been smacked by sizable debris. Sooner or later despite the incredible odds, somebody wins, or in this case, loses. The second reason I tend to worry is that if at some possibly distant future time we get to experience an encounter with a major asteroid, we won’t see it in time to do anything about it. To guard against a catastrophic event, it requires a long term view. You'd need to have detected the object and predicted its path in time to intercede. And you'd have to have a capability ready to divert it - a capability that might take a decade to conceive, build and test. The Halloween Asteroid was first detected on the 10th of October, only three weeks before it sailed by us at a 'safe' distance. How Far Can You Think? For many years, I've thought about the future - what's possible - what we'll actually do, and what we won't. 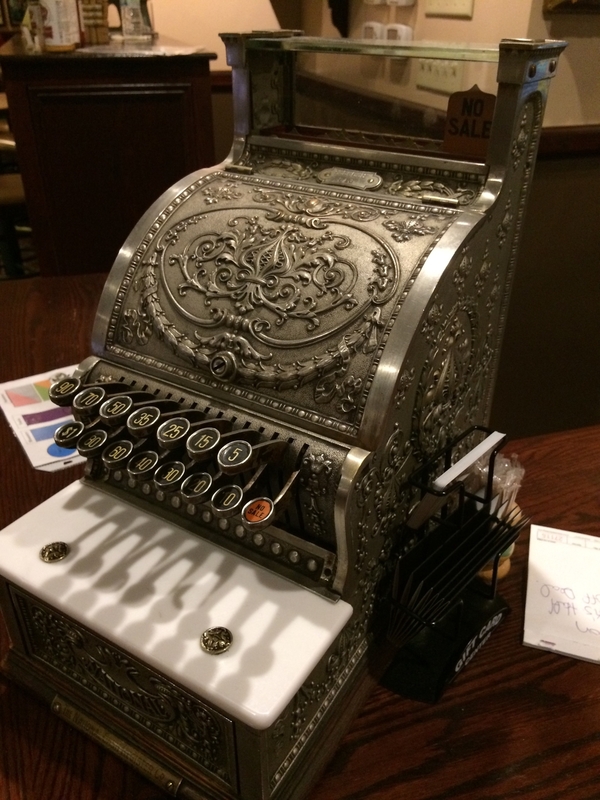 This blog is a collection of some of those reflections. Some things that seem impossible in the next five or ten years become inevitable in a hundred or a thousand. The only difference is how far you can think.